Blue Mountain Lodge is located inside Killarney Provincial Park, a wilderness canoeing park, and so our guests have access to many lakes. 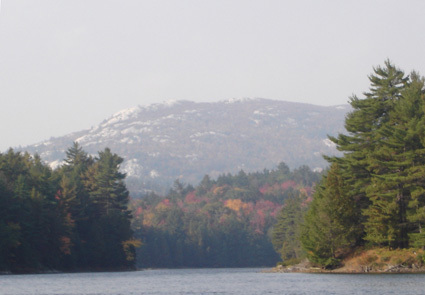 Balsam, David, Johnny, Ruth Roy and Clearsilver Lakes are all easily accessible as a day trip. 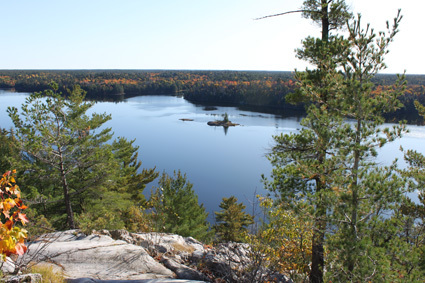 You can also drive to the main access point for the park at George Lake, and access the famous Killarney and OSA Lakes. Guests of the lodge do not require day use passes at the Bell Lake access, but they are required if you drive to another access point. Here is a link to an outline map of the park: Killarney Park Map (Bell Lake, where the lodge is located, is on the far right). We have a wide range of canoes available for rental through Killarney Kanoes. One of the most popular hikes in the park starts a short canoe ride from the lodge: the Silver Peak hike. Pictured below, Silver Peak is the second highest peak in Ontario and the view from the top is well worth the effort. You can also access the LaCloche Silhouette trail from this point - a 100km trail that circles the park. We rent 14 ft aluminum boats with 6 hp motors. 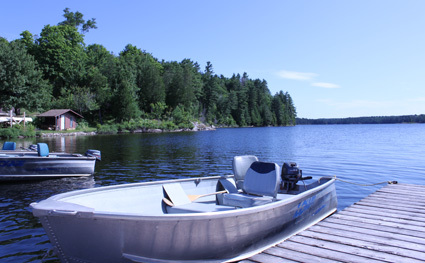 These are limited to Bell Lake and only boats belonging to the lodge are allowed on the lake. There is excellent fishing on Bell and Balsam Lakes. Large and small mouth bass are open from the last Saturday in June onwards, and northern pike are open year round. There is a wood burning sauna that is usually going in the late afternoon and is popular with most of our guests. There is a short walk (20 minutes) that starts at the lodge and leads to a hilltop overlooking Bell Lake. 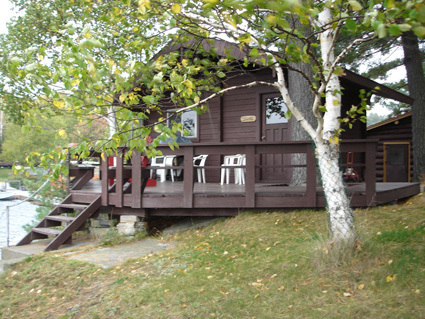 It is a very peaceful spot which makes you realize how isolated the lodge is, plus there are blueberries in season! The historic town of Killarney, a harbour on Georgian Bay, is about a 40 minute drive from the lodge. 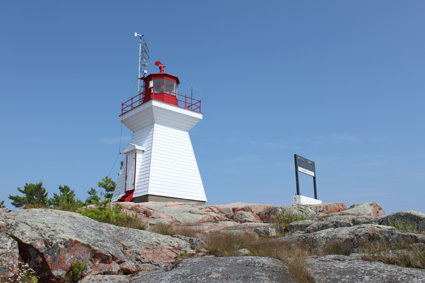 A great place to get ice cream, world famous fish and chips or to take a stroll out to the lighthouse. The city of Sudbury is about a 1 hour drive from the lodge. 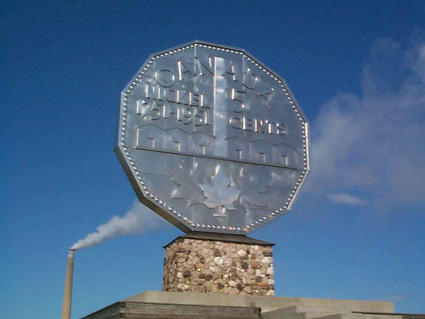 It has a full range of stores, Science North, plus the big Nickel!